Curbside recycling is a free service to all City of Salisbury residents who utilize the City’s once a week trash collection. Curbside recycling is an easy and convenient way to recycle cardboard, plastics, paper and glass, for a complete list of acceptable recyclables please see our recycling brochure tile below. 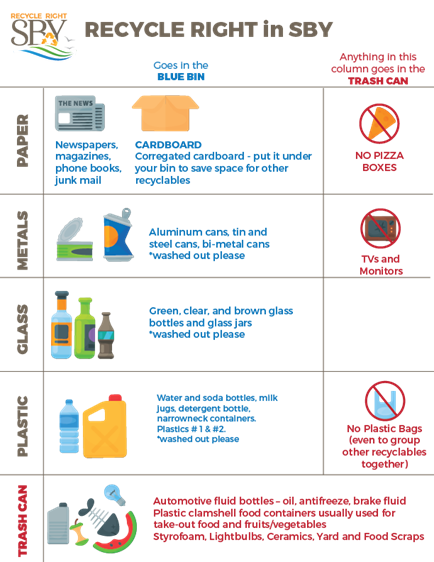 City curbside recycling is collected on the same day as curbside trash and cardboard collection. 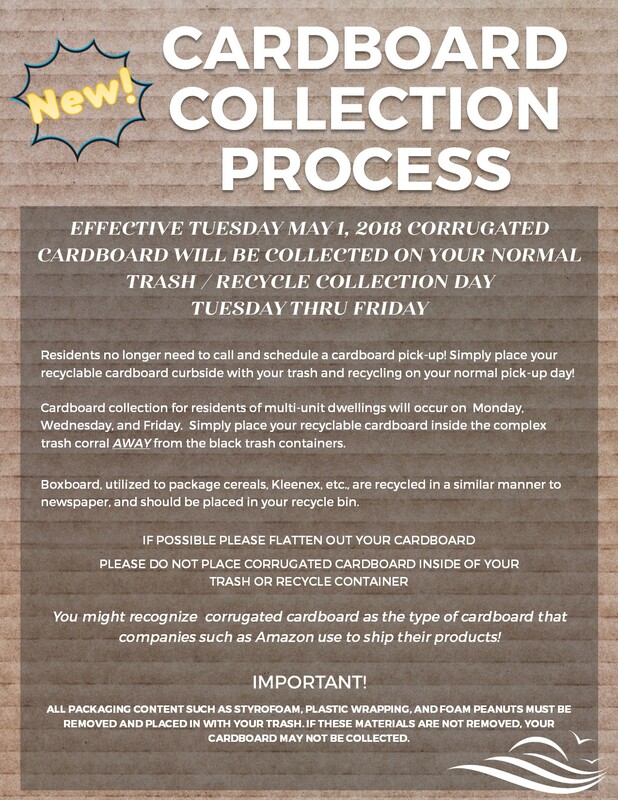 Recycle bins are available at no charge and can be acquired by calling the Field Operations Department at 410-548-3177, bins will be delivered.